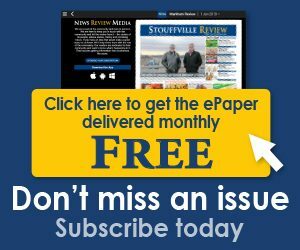 In a press release issued on June 28, town officials say they are launching legal action against the embattled mayor to force him to return the material, which relates to matters previously investigated by the town integrity commissioner involving a Code of Conduct complaint. “There is no evidence any taxpayer or citizen information was disclosed,” says Roman Martiuk, town chief administrative officer. The extent of the breach isn’t yet known but based on information received so far, the town believes personal and confidential information of 24 current and former employees – including information about overtime claims, salaries and employment history – was photocopied and included in binders that were provided to eight to 10 individuals last summer. It also includes 14 descriptions of closed session council matters and closed session documents contrary to town bylaws. The affected individuals will be notified. The disclosed information didn’t include social insurance numbers, birth date information or home address information. The town is encouraging the full cooperation of anyone who received the confidential material and is asking anyone with information regarding the binders or confidential material to contact Martiuk. 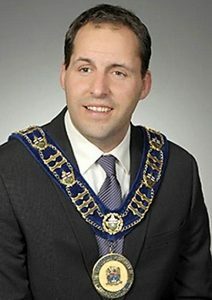 Altmann continues to serve strict sanctions imposed by fellow councillors in March after failing to apologize to staff – as mandated by an ethics investigation and councillors – for a CSI-style wall in his bathroom that featured a collection of photos of staff, elected officials and members of the public linked by arrows in a flow chart. 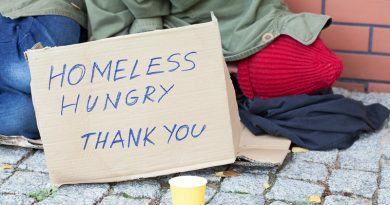 Those sanctions included being docked six months’ pay, being barred from municipal facilities and limited interaction with staff employees.